The Advanced Ocean Modelling Summer School (AOMSS) is a student initiative born from the need to understand what’s happening inside the ocean models that many of us run for our Doctoral or Postdoctoral research. The school will bring together PhD Students, Postdocs and Early Career Scientists from all over Australia for the first Advanced Ocean Modelling Summer School in the southern hemisphere. During the 5-day intensive course, students will learn the fundamental ideas and numerical details of ocean modeling from leading experts in the field. 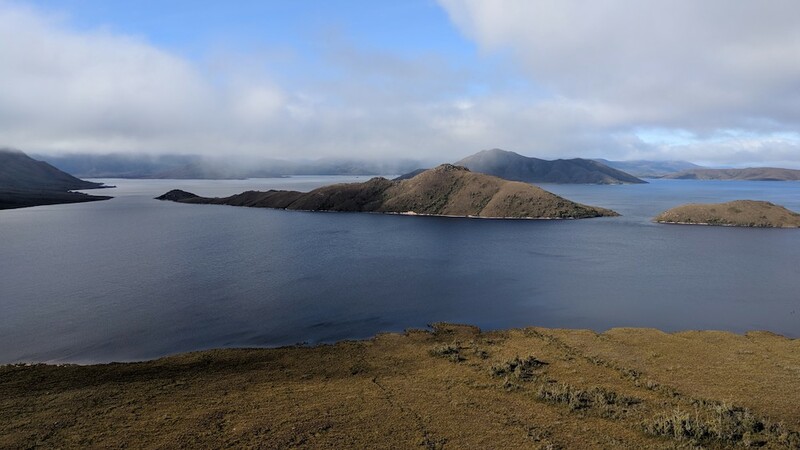 The school will be held in a remote location in Tasmania (Pedder Wilderness Lodge) to create a deep, focused learning experience away from distractions and daily routines. Informal chats during shared meals and recreation time will provide opportunities to form close professional and personal relationships, fostering collaboration and openness (and hopefully great science!) within the next generation of Australia’s ocean modellers. The school addresses a considerable education gap between Australian university courses in Geophysical Fluid Dynamics and the fundamental workings of ocean models. Many of us are using state of the art ocean or coupled ocean/atmosphere models (eg. ROMS, MITGCM, MOM, NEMO, ACCESS) to conduct our research. Our interaction with these models ranges from simply using the output, to developing and running new configurations, to manipulating the source code. Whilst many of us are familiar with the fundamental equations underpinning these models, less well understood are the numerical techniques used to discretise and solve them. All of the models we use come with a myriad of options; which parameterization should be implemented for this unresolved physical process? Which grid, which algorithm or scheme? This gap in our understanding leads us to use default parameter values, trial-and-error or rely on advice from others, perhaps never understanding why something works, and what the caveats to it are. The aim of AOMSS is deep understanding of the approximations, parameterizations and discretisation that allow us to solve the primitive equations for fluid motion numerically, so we can transition from treating ocean models as “black boxes” to being able to develop the source code and make sound, physically based choices when configuring an ocean model for a specific purpose. The week-long intensive school on advanced ocean modelling is taught by three experts in numerical modelling: Stephen Griffies from NOAA/GFDL and Princeton University will give the core lectures, accompanied by lectures from ​Andrew Hogg​ from ANU and ​Maxim Nikurashin​ from UTAS. A key goal of the school is to develop close professional and personal relationships across the Australian ocean modelling community that foster intellectual openness, trust, and non-judgement. To create an environment that is conducive to this goal, the school is held in a remote venue in Tasmania that combines teaching and accommodation away from daily routines and distraction. Joint meals, walks and recreational activities will provide a space for informal chats and discussions. The goal of the school is not only to make new information accessible, but to form a community of young scientists equipped with the tools to ask and answer the next big questions in ocean and climate science. Note: The AOMSS is not an introductory course in ocean modelling. ​Students are expected to have knowledge in the fundamentals of GFD prior to attending the school and priority is given to those running ocean models or GCMs as part of their research. Please note: Participants are expected to secure their own funding for travel. Costs for accommodation, catering and the lectures are covered by the school. We thank CLEX, the Antarctic Gateway Partnership, the ACE-CRC and IMAS for supporting the school. ● With prior knowledge of the primitive equations for fluid motion and finite differencing. Applications for the Advanced Ocean Modelling Summer School have now closed.